When it comes to computer/coding summer camps, girls are much less likely to attend. 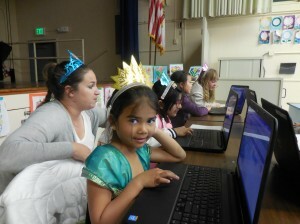 Here’s why they should, and how to find a computer camp they’ll love. Our kids are growing up in a digital world. Here’s why a computer coding or programming camp can help them get ahead — and how to find one they'll love. If your kids are interested in computer programming, here's a list of books, movies, apps, and TV shows they might enjoy. Worried about the time your children spend online? Steer them toward these websites, which can help them explore new interests and expand their knowledge. Does your daughter love STEM subjects? Enrolling her in a computer coding class may preserve her confidence. Here's how to find one she'll love. Kids want more screen time? Offer these options to build strong skills in keyboarding, online research, internet safety, and yes, video game play too. Co-founder of Sparkiverse Labs Mare Lucas shares why her company seeks to spark girls' interest in STEM subjects, and how to do the same for your daughter.